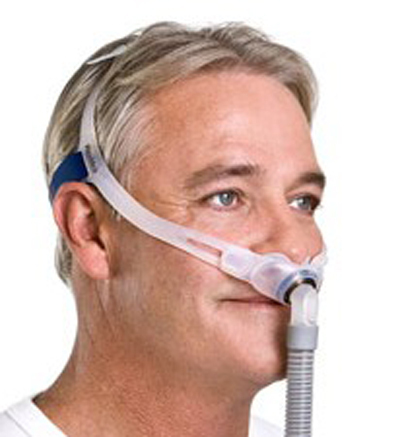 Don't have a prescription™ Don't like the price™ Why pay more for a complete mask! Save money and order just the parts you need without a prescription! Click the link below for a complete line of replacement parts for the Swift FX. 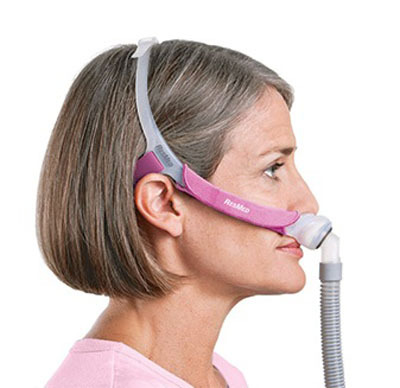 ** Note - This product is packaged as the "For Him" or "For Her" versions that are directed at male or female CPAP users. The Swift Fx for Him is packaged with small, medium, and large sized pillows, while the Swift FX for Her comes with slightly smaller headgear, pink colored elastic and soft wraps, and extra small, small, and medium sized pillows. Both versions are also available with optional "Bella" headgear that loops around the ears instead of wrapping around the head. The Bella versions also include the standard for him or for her headgear in addition to the Bella loops. 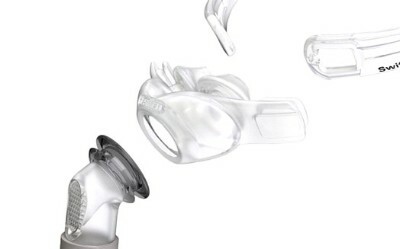 The ResMed Swift™ FX Nasal Pillows System represents continuing innovation and improvements in the already hugely popular and successful Swift™ LT series. The Swift™ FX now incorporates a soft, pliable design for the entire mask system - no hard parts at all to irritate your face! The snug headgear straps do the work of maintaining the seal, so the fit feels loose and there's no need to overtighten the headgear. 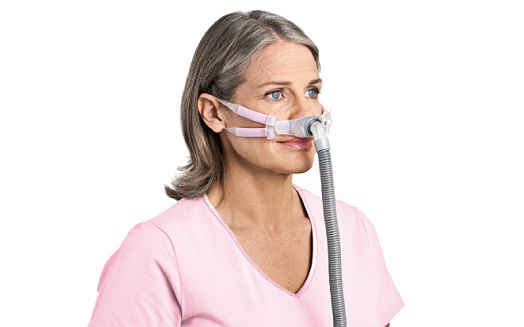 The innovative vent design delivers super-quiet mask performance and gently disperses air away from patient and bed partner. The new design of the self-guiding nasal pillows are easy and intuitive to adjust, and they partially inflate with air and press gently against your nose for a secure, stable, yet gentle seal, even at higher pressures. Soft, narrow cushion with integrated flexible chamber makes side sleeping comfortable and helps maintain seal during movement. Great mask, very comfortable, great website. If you got a mustache or full beard nasal pillows are the way to go. I have used this system for better part of a decade now and generally been very happy. There can be an adjustment period when switching from a full mask as the pillows can initially irritate the nostril openings until the tissues toughen up in a couple of days. Once that happens leakage problem are a thing of the past. The silicone pillow system is soft and flexible and it works in all sleep positions. I am an "alligator roll" sleeper; constantly switching from back to side to stomach to side to back all night long, In the morning my new S10 reports no leakage issues and no apnea episodes. My wife (no mustache) switched from a full mask to pillows and hasn't gone back.